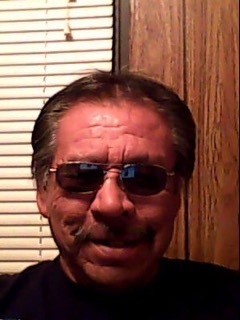 Harold L. Kingbird, Sr. age 62, of Ponemah, MN, and of the eagle clan, Ojibwa name “Bagwaajiiniis” which means Wildman, began his spiritual journey on Monday, January 21, 2019, from Red Lake Hospital. Harold was born in Red Lake, MN, on August 23, 1956, the son of the late Jack and Lucille (Downfeather) Kingbird. He grew up in Ponemah and attended Red Lake High School and then received his GED from Thief River Falls, MN. He went on to Thief River Falls Technical College and earned a degree in welding. He also worked as an assessor for Red Lake Chemical Health and then transferred to Cass Lake Halfway House as a counselor for 15 years. He was an avid outdoorsman who enjoyed hunting, fishing, trapping, and snaring rabbits, and making outside bread, but most of all he loved spending time with his family. Family welcoming Harold home are his parents, Jack and Lucille Kingbird; son, Leo Kingbird, Sr.; brothers, Gerald, Edmund, and Ronald Kingbird; and uncle Lyman Kingbird; as well as many other relatives that have gone before. Harold is survived by his wife, Sharon (Stillday) Kingbird; sons Shane Stillday, Harold (Darchelle) Kingbird, Jr., and Jeremiah Kingbird; brothers, Jack (Debbie) Kingbird, Willard (Andrea) Kingbird, Darrell (Andrea) Kingbird, Curtis Kingbird, Spencer (Josie) Whitefeather; sisters, Doris Kingbird, Phyllis (Paul) Smith, and Donna Lewis; and all his grandchildren, nieces, nephews, cousins, and friends. The wake for Harold will begin at 5:30 pm on Wednesday, January 23, 2019, at the Boys and Girls Club of Ponemah, MN, and will continue until his traditional service at 10:00 am on Friday, January 25, 2019. Waa-maajaa’iwed ~ Steve Jackson. He will be buried at the Kingbird Family Burial Ground in Ponemah, MN. Pall bearers for Harold will be Mickey French, Kendrick Kingbird, Gerald Raisch, Kyle Kingbird, Jerrette Caldwell, and Andrew Spears. Honorary pall Bearers will be Sheldon Perkins, Kevin Johnson, Gordon Spears, and Darrell Raincloud. The grave was dug by Darrell Kingbird, Sr., Shawn Kingbird, Darrell Kingbird, Jr., Darren Kingbird, and Dillion Kingbird.